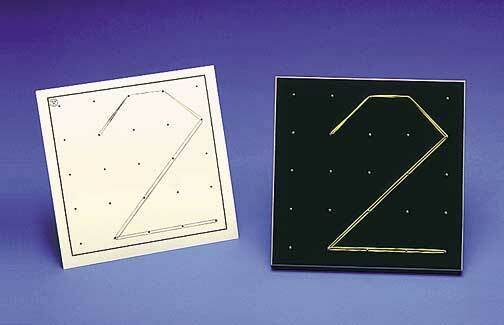 Click here to see a large picture of different Geoboard-Numeral Card. Students use geobands to copy the outline of the numeral on the geoboard. There are eight numeral cards per set.